Welcome to a collection of independent author works by me - Andrew Uphoff. Please enjoy your stay, and be sure to check out my Patreon to support upcoming works! For nearly ten years I’ve been working in my spare time to improve my writing skills. Independent research and consistent application is the name of the game, though sometimes life doesn’t afford time. Now I seek to leave the day job behind and apply and hone these skills to businesses and creative minds alike. Whether you’re looking for a thoroughly researched blog post, game reviews, or fiction eBook ghostwritten, you’ll be happy you chose indie. Tipping is a common practice around the world. Many people rely on this system of giving to pay their bills. While some may be thriving, there are many who aren’t. How does tipping truly affect the American people? A piece I wanted to do to display how video games can teach good psychology. Through use of game mechanics every day tasks seem fun. The “Up until 3AM when I work at 8AM” kind of fun. Marcus Wainwright was the ripe young age of thirteen when he stumbled on the lost tomb of legendary Aric “The Bull”. He thought he had come to cleanse the Ley-Line. What he found was worse than corruption. He found the gruesome truth. Rey Lionhart is a Ley-Line programming prodigy. 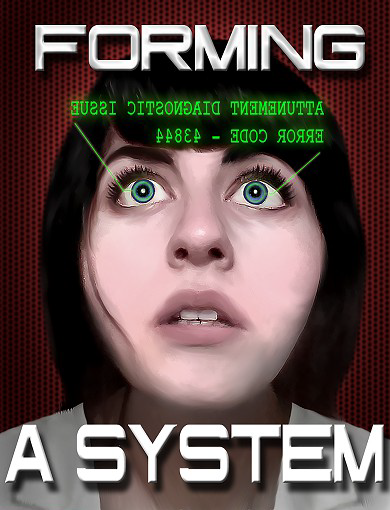 Not only did she create the most efficient Ley-Diagnostic system known to Pangean society, she also created her own neural augmented reality interface. Life as Gaiaforming Station 3’s Chief Quantum Ley-Engineer seemed pretty cushy. Post-scarcity means all she needs for a pumpkin latte is to send a command to the nearest COM crystal and it digitally constructs in front of her piping hot in a steel mug. A surprise audit from a Pangean Justiciary throws her cushy life into chaos. What does Déjà Vu have to do with extra-dimensional beings? That's what Rey wants to know. This work by www.chainedreality.com is licensed under a Creative Commons Attribution-ShareAlike 3.0 Unported License.